David Kyle Johnson is an assistant professor of philosophy at King's College in Wilkes-Barre, Pennsylvania. He has contributed to several books in the Blackwell Philosophy and Pop Culture series, including Family Guy and Philosophy and The Office and Philosophy. William Irwin is a professor of philosophy at King's College. He originated the philosophy and popular culture genre of books as coeditor of the bestselling The Simpsons and Philosophy and has overseen recent titles, including Batman and Philosophy, House and Philosophy, and Watchmen and Philosophy. Introduction: The Wonder of Heroes. Chapter 1: Above the Social Contract? How Superheroes Break Society (Robert Sharp). 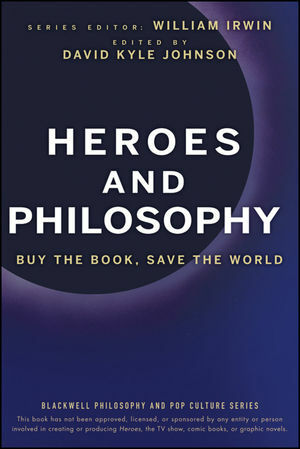 Chapter 2: Heroes, Obligations, and The Ethics of Saving the World (J.K. Miles). Chapter 3: Corporate Capers: The Moral Dimensions of Working for The Company (Christopher Robichaud). Chapter 4: With Great Creativity Comes Great Imitation: Problems of Plagiarism and Knowledge (Jason Southworth). PART TWO: SUPERMEN, SAMURAI, AND INVISIBLE MEN. Chapter 5:Time and the Meaning of Life in Heroes and Nietzsche (Tyler Shores). Chapter 6: Hiro Nakamura, Bushido, and Hero-Archetypes (Erik Daniel Baldwin). Chapter 7: Plato on Gyges' Ring of Invisibility: The Power of Heroes and the Value of Virtue (Don Adams). PART THREE: METAPHYSICS, REGULAR-PHYSICS, AND HEROIC TIME TRAVEL. Chapter 8: The Foreknowledge of a Painter, The Fate of a Hero (David Kyle Johnson). Chapter 9: Time to be a Hero: Branching Time and Changing the Future (Morgan Luck). Chapter 10: Heroes and the Ethics of Time Travel: Does the Present Matter (David Faraci). Chapter 11: The Physics of Heroes: Immortal Samurais, Flying Men, and Destroying the Space-Time Continuum (Andrew Zimmerman Jones). Chapter 12: Pseudoscience, Scientific Revolutions, and (Chandra Suresh, David Kyle Johnson and Andrew Zimmerman Jones). PART FOUR: THE MINDS OF HEROES. 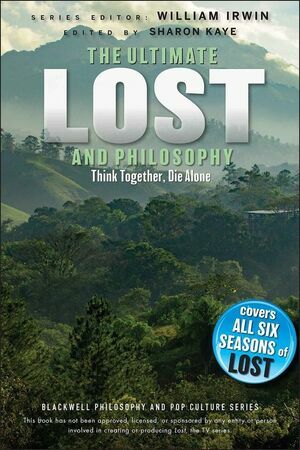 Chapter 13: Peter Petrelli, The Haitian and the Philosophical Implications of Memory Loss (Peter Kirwan). Chapter 14: Understanding Other Minds: Philosophical Foundations of Heroes Mindreading Powers (Fabio Paglieri). Chapter 15: Peter Petrelli: The Power of Empathy (Andrew Terjesen). PART FIVE: VILLAINS, FAMILY AND LYING. Chapter 16: Are the Heroes Really Good (Peter S. Fosl)? Chapter 17: Heroes and Family Obligations (Ruth Tallman and Jason Southworth). Chapter 18: Concealment and Lying: Is this any way for a Hero to act (Mike Berry)? Chandra Suresh’s List: a catalogue of powers, both natural and synthetic. Index: the power of omniscience (about this book).